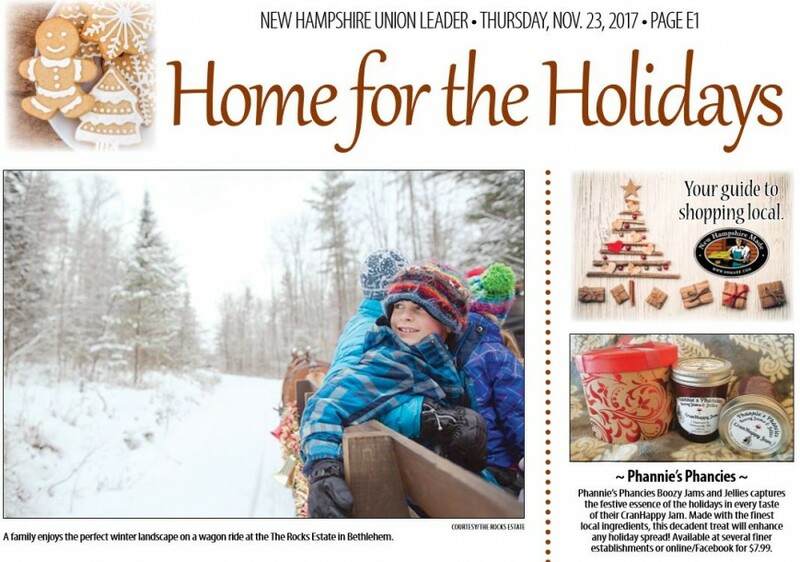 Every year The Union Leader partners with NH Made to showcase New Hampshire holiday traditions. The first segment in this three-part series is called Home for the Holidays. You’ll find ideas for making memories with your family, new places to visit, farms for selecting the perfect tree and events to ring in the season all across the state. NH Made members are also featured from makers of specialty jams and Christmas ornaments to artisanal woodworkers. Pick up the Union Leader Holiday Planner (Nov 29th) and Christmas Gift Guide (Dec 6th)! 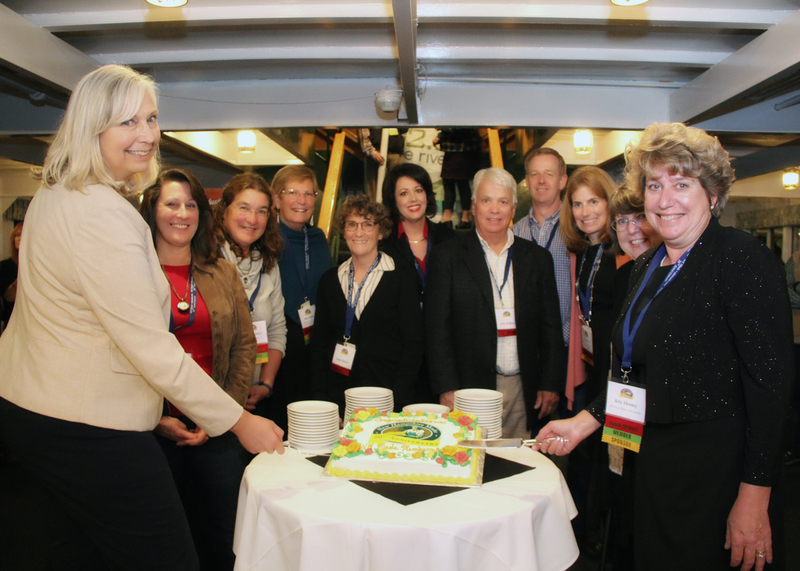 NH Made recently celebrated its 20th anniversary with a members’ cruise and locally-sourced dinner aboard the M/S Mount Washington. NH Made was founded in 1997, and today, 20 years later, works with more than 700 members and supports small independent businesses throughout the state, with strong assistance from our partners, the NH Department of Agriculture, Markets & Food, the NH Division of Travel & Tourism Development, and the NH Liquor Commission. Many members contributed to a dinner created by Chef Kevin Fisk, including North Country Smokehouse, Yankee Farmer’s Market, Cucina Aurora, Jack’s Crackers, Better than Average, Fuller’s Sugarhouse, Camp Mix, Nuts over Fish & Chutney House and the Woodstock Inn Brewery. The silent auction raised more than $3000, thanks to contributions from 61 NH Made members from all around New Hampshire. Other festivities included a beverage tasting hosted by Coffin Cellars Winery, Winnipesaukee Winery and Tamworth Distillery, music by the Stratham-based Kenny Brothers Band, and special recognition from Senator Jeanne Shaheen, who, as governor, was instrumental in helping NH Made in its founding days. Shown cutting the cake in our official anniversary photo are (left) Gail McWilliam-Jellie, Director of the Division of Agricultural Development at the NH Department of Agriculture, who was involved in the founding of the organization and still serves on our board, and (right) Kristine Mossey, current chairperson of NH Made and owner of McLeod Bros. Orchards in Milford. Looking on are fellow board members (from left to right) Mary Macdonald of Genuine Local in Meredith, Diane Souther of Apple Hill Farm in Concord, Betsy Booth of Wolfeboro, Susan Bullock of Tilton, Cindy Harrington of the NH Division of Economic Development, John Watkins of Seabrook, Mike Somers of the NH Lodging & Restaurant Association, Amy Bassett of the NH Division of Travel & Tourism Development and co-owner of Gould Hill Farm in Hopkinton, and Dawn Mahoney of Amherst Label in Milford. NH Made is a 501c3 non-profit organization with a mission to strengthen NH’s economy by increasing the awareness of and demand for NH-made goods and services. The 20th anniversary event was made possible by presenting sponsor Fuller’s Sugarhouse of Lancaster; media sponsor New Hampshire PBS; radio & entertainment sponsor The River Radio Network; dessert sponsor Zeb’s General Store of North Conway; and table sponsors Amherst Label of Milford; Apple Hill Farm of Concord; Farm Credit East of Bedford; McLeod Bros. Orchards of Milford; NH Department of Agriculture, Markets and Food; NH Division of Travel & Tourism Development; Parcel Room of Portsmouth; and Wolfeboro, the Jewel of Lake Winnipesaukee.